VH1’s ‘I Will Survive’ Anti-Bullying Ad Is Great Fun, but Does It Send a Good Message? 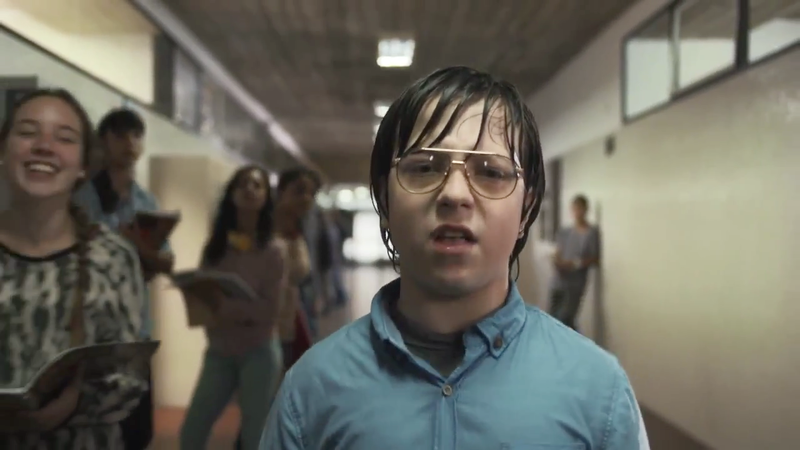 Gloria Gaynor's disco classic "I Will Survive" gets remade as an anti-bullying anthem in this VH1 spot by Del Campo Nazca Saatchi & Saatchi in Argentina, showing tormented boys and girls singing out their plans for sweet revenge in adulthood. Expertly staged by music-video veteran Agustin Alberdi and boasting a great cast, the ad feels kind of like a musical number from Glee in its heyday. It opens with a kid enduring the indignity of a dual swirly/pantsing: "First I was afraid, I was petrified/They flushed my head several times, exposing my behind." Other tortured middle-schoolers soon pick up the thread. One looks ahead to the day when, "Oh my power, I will abuse/I'll be the CEO, you'll be the one who shines my shoes." Another promises, "I'm gonna call you night and day/And on weekends I'll send texts/Ask you for all kinds of things, making sure you never rest." On one level, the video is a marvel of wish fulfillment that anyone who's ever been picked on or put down during lunch period or study hall can instantly relate to. Believing you can turn the tables feels great, and the spot hits all the right notes in that regard. Still, the tone and message ultimately fall flat. The revenge motif, though lighthearted, seems to perpetuate the cycle of bullying, with today's victims becoming tomorrow's oppressors. Yes, it's handled with a deft touch and good humor—and the jerks in the boy's bathroom using that kid's head as a toilet scrubber certainly have it coming. Also, ultimately, these bullies are free to go about their brutish business. Vague threats of corporate comeuppance 20 years hence seem pretty lame when victims ripe for pantsing are available in the here and now. Meanwhile, the terrorized kids tunefully suffer and bide their time, fated to wait decades for "revenge" which, let's face it, may never come. Bullies grow up to be bosses sometimes, and nerds aren't always management material, no matter how earnestly kids in PSAs sing to the contrary.